Once our young people move on to secondary school, they can join our Pathfinder group which is geared for 11 -14 year olds. 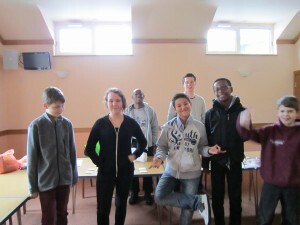 They meet at 9.30 a.m every Sunday in The Pathfinders Room. Come along and join them for a fun way to learn more about Jesus. Please speak to Jason Hudson for more information.